Coming off of his experience starring as an aspiring musician in feature film-meets-faux documentary ‘Wheeler,’ Stephen Dorff says a career in country music could be on the horizon. 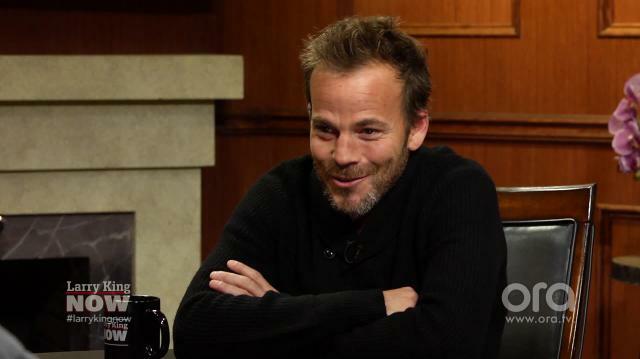 Stephen Dorff: Musically or filmically? Stephen Dorff: Musically. Well it’s funny. I’ve been cornered by some, at the LA premiere and then Nashville I’ve been given a lot of business cards of music managers and music attorneys, and I have a great music attorney now and I never had any representation musically but now people want to know what’s after ‘Wheeler’ you know? But I really want to see this one through and if I do another album I’d love to keep writing songs you know? As a tribute to my dad, my brother, and maybe record some of Andrew’s songs. Larry King: @AnnabelleKline wants to know if you would consider a career in country music. Stephen Dorff: I would, you know. I would consider saying and writing songs my way, doing it kind of my way, I don’t think I would give up my day job, but I do love writing songs and frankly, through this film I love playing for people.